Welcome to Stealth Electronics Limited. Design and manufacturers of not only Crop Storage Control Systems but a complete range of other products and services. 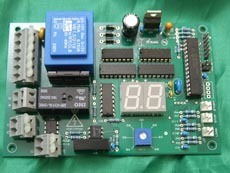 Stealth Electronics Ltd is a design and manufacturing Company for electronic products and services. Our in house experienced design team can provide the All Inclusive concept, from initial design to the supply of the final manufactured product. Production manufacturing facilities are for the small to medium quantities / batches. Based in Ipswich, Suffolk. 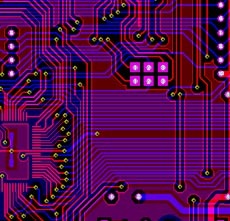 Stealth Electronics can supply a wealth of electronic expertise tailored to your requirements, from our experiences gained from our many different product ranges covering a diversity of applications but specialising in the control applications and functions. Text messages are sent directly to your mobile phone to confirm the stores conditions or alert you to possible underlying problems. 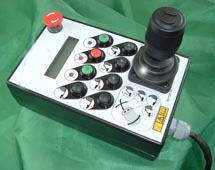 Avaliable for the many range of controllers. 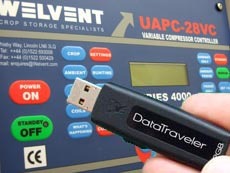 Using the latest USB technology - data from the controllers can be transferred to a memory stick to enable the user to transfer the information directly into your PC computer. 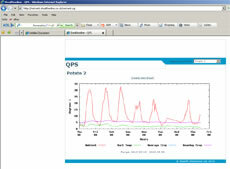 The years data can be viewed graphed and printed using the utility PC program provided. 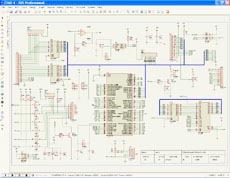 The services offered by Stealth Electronics include analogue and digital design facilities with in house printed circuit board CAD design. 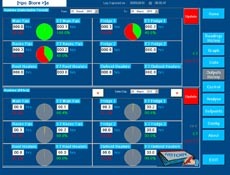 Software language will depend upon actual applications. 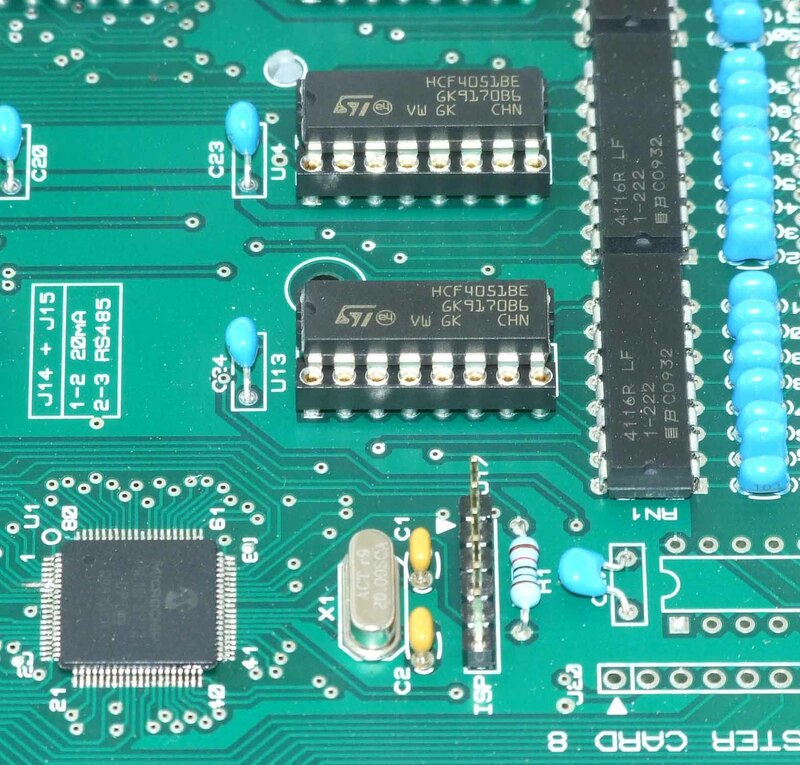 We can offer embedded "C" using CCS complier to assembler and from Visual basic Dotnet to Java to name but a few. IBM PC software is also available in house. 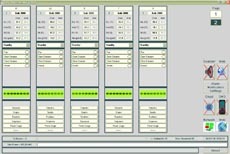 Representative applications for example, include PC based radio linked handheld bar coded stock control. Further applications include text messages of alarm status to mobile phones and the use of secure web site access to view and amend site data. 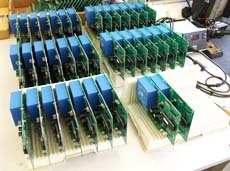 The production facilities at Stealth Electronics are for the small to medium production runs. 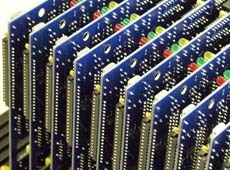 Antistatic protection and quality assurance procedures allow us to provide a reliable and excellent production service. 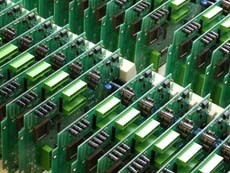 All PCB assemblies are ultrasonically cleaned and are supplied fully tested with guarantees. 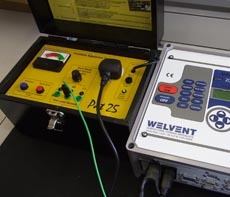 Stealth Electronics has a vast experience in the design and manufacture of specialised test equipment. Test jigs have been produced to varying degrees of complexity. From the simple "bed of nails" jigs to the most exacting complicated computer controlled testing. 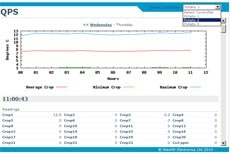 The latter, allows for the monitoring of possible batch failure modes in the future with the maximum traceability of any failures that subsequently occur. These have predominately been requested in the automobile industry. 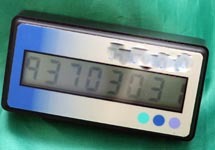 Stealth Electronics have written many bespoke stock control systems. Meeting the customer's requirements with reliability and quality. Applications include bar code printers and scanners with radio linked handsets. After Sales Support of OEM Products. We also have fully equipped field service engineers for the servicing and commissioning of our designs and products. Supporting our customers and products both within the UK and overseas. With our Computer Network experience we support many companies with a comprehensive range of support packages to suit their individual requirements. 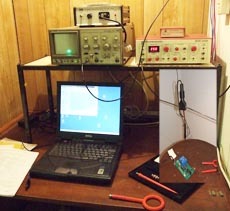 Manufacturing of Cables and Harnesses. 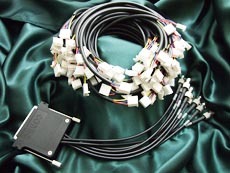 Stealth Electronics manufactures all types of cables and harnesses. Our extensive range of Molex and Amp presses allow for a quick and cost effective approach for your wiring assembly requirements. 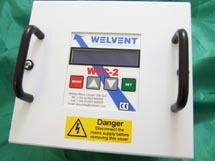 Another division of the Company provides the design and manufacture of our own range of products. These products are spread over a range of many different industries including Storage of Crops. Typical crops include potatoes, onions, cereals, mushrooms, cabbages and timber to name but a few. Input transducers incorporate temperature, relative and absolute humidity, CO2 and pressure. 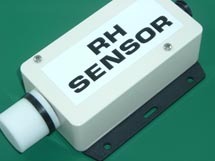 Other products also include temperature sensing and controlling of silo installations. 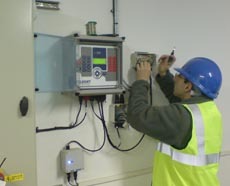 For the irrigation specialist we can supply decoded signal systems with interfacing onto flow meters. These are used on many golf courses and sports stadiums. Security entry systems are also available to meet your requirements. All these are fully described under the relevant product guides. Our Customers can "Buy In Confidence" secure in the knowledge that Stealth Electronics has handled the entire project from design to manufacture. Needless to say, Stealth Electronics Ltd. is therefore ideally placed to fully support all of its products.